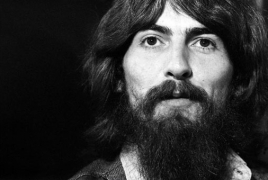 PanARMENIAN.Net – A live album and film of a special George Harrison tribute concert is set for release, Gigwise reports. A night celebrating the music of the late Beatle, last year’s George Fest concert featured superstars such as Brian Wilson and The Killers’ Brandon Flowers.Recorded in 2014 at the The Fonda Theater in Los Angeles, George Fest: A Night To Celebrate The Music Of George Harrison features all-star cover versions as well as backstage interviews with the artists behind them. Here they openly discuss the influence that Harrison has had on their career.